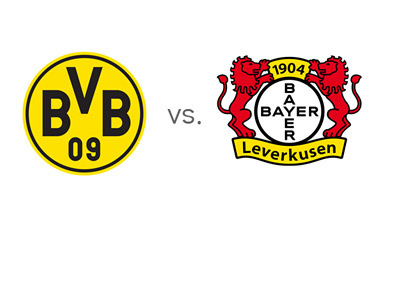 Third place Borussia Dortmund host second place Bayer 04 Leverkusen in the fifteenth round of the German Bundesliga on Saturday, December 7th, 2013 at Signal-Iduna-Park. After tough three losses to Arsenal, VfL Wolfsburg and Bayern, Borussia Dortmund are back in business and on a three game winning streak. The beat Napoli in the UCL, Mainz in Bundesliga and, most recently, FC Saarbrucken in the German cup. After getting killed 0-5 by Manchester United in the Champions League, Bayer 04 Leverkusen got back to their winning ways as well with victories vs. Nurnberg in the league and SC Freiburg in the German cup. At the moment Borussia have 31 points, while Bayer have 34 points. Bayern Munich are at the top of the tables with 38 points. Basically, both teams are trying to keep up with Bayern, which is starting to look like mission impossible considering how well the Munich side is playing these days. In any case, we have Germany's third and second best teams going head to head on Saturday, which is arguably the top match in Europe on that day. The most likely score is a 2-1 win for dortmund at 7/1. Both Borussia Dortmund and Bayer Leverkusen have huge champions league games coming up mid week and both will go for the win to keep the momentum going. Will it be Borussia who come out on top?